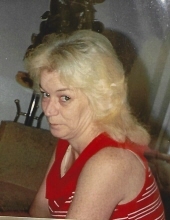 Jeanette Ann Logan of Miami, OK passed from this life Thursday, January 31, 2019 at Integris Grove Hospital in Grove, OK. She was 67. Jeanette was born March 29, 1951 in Roswell, NM to George and Nellie (Patterson) Colvard. She had lived in Miami most of her life. She was a homemaker. Jeanette was preceded in death by her husband Sidney Logan, an infant daughter, her parents and 2 sisters Linda Gilchrist and Billie Mahurin. Survivors include 2 sons Jerry Waldon, Jr. of Miami, OK and Rickie Waldon and wife Amanda of Miami, OK, her daughter Georgia Waldon of Miami, OK, 1 sister Judy Dry of North Miami, OK, 12 grandchildren and 22 great grandchildren. To send flowers or a remembrance gift to the family of Jeanette Ann Logan, please visit our Tribute Store. "Email Address" would like to share the life celebration of Jeanette Ann Logan. Click on the "link" to go to share a favorite memory or leave a condolence message for the family.